Its a WW 2 rebuild May 1918 frame with Colt slide and barrel replacement during rehab. It shoots saucer size groups at 7yds. Still worthy of ccw. 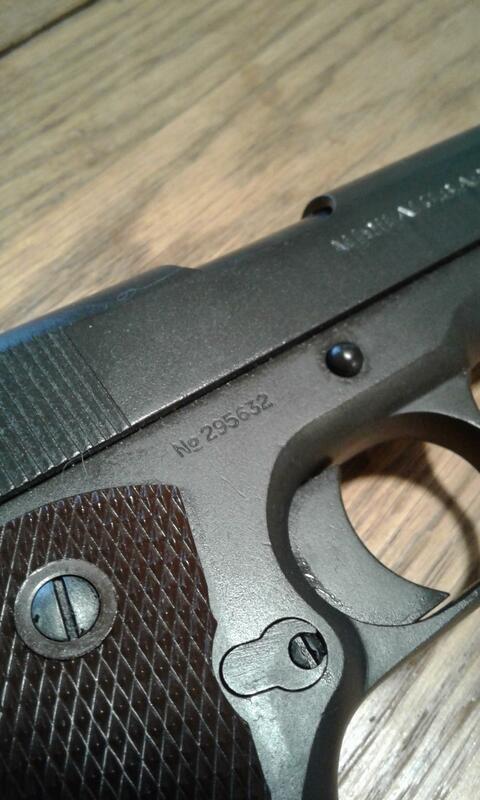 A man can never have too many WWl and WWll 1911 handguns. I love shooting mine and wishing that they could talk. Congrats, and enjoy!! Nice! I’m kicking around a similar project. 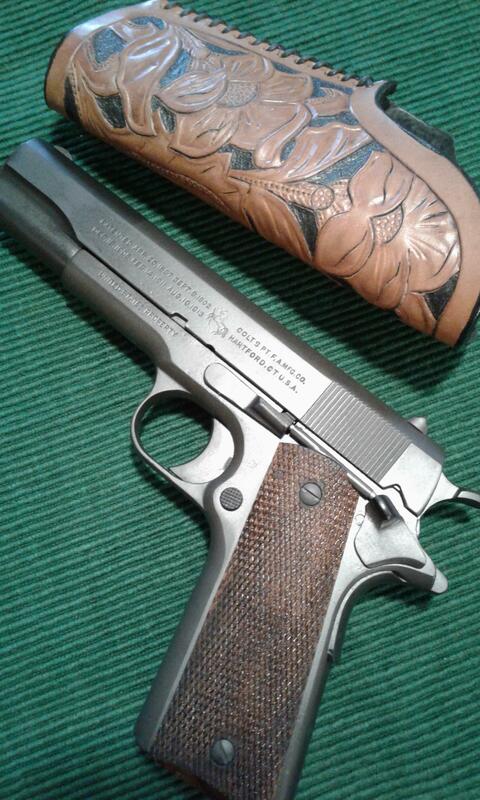 I’ve been carrying a 1911 for decades but my brother has expressed an interest in a milsurp 1911.